English short-story writer, poet, and novelist Joseph Rudyard Kipling Was born 30 December 1865 in Bombay. However He moved to London, England when he was five years old. In 1891, Kipling visited South Africa, Australia, New Zealand, and India. However, he cut short his visit and returned to London where his first novel was published. 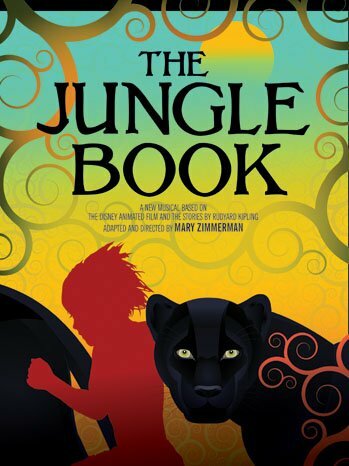 Kipling is best known for his works of fiction, including The Jungle Book (a collection of stories which includes “Rikki-Tikki-Tavi”), Just So Stories (1902), Kim (1901) (a tale of adventure), many short stories, including “The Man Who Would Be King” (1888); and his poems, including “Mandalay” (1890), “Gunga Din” (1890), “The White Man’s Burden” (1899), and “If—” (1910). He was also acquainted with British writer Arthur Conan Doyle, who brought his golf-clubs, stayed for two days, and gave Kipling an extended golf lesson which he enjoyed. Kipling also loved the outdoors especially Autumn in Vermont, describing how a Maple began changing colour, flaming blood-red of a sudden against the dark green of a pine-belt. Next morning there was an answering signal from the swamp and Three days later, the hill-sides as fast as the eye could range were afire, and the roads paved, with crimson and gold. Then a wet wind blew, until nothing remained but pencil-shadings of bare boughs, and one could see into the most private heart of the woods. Sadly On a visit to the United States in 1899, Kipling and Josephine developed pneumonia, from which she eventually died. 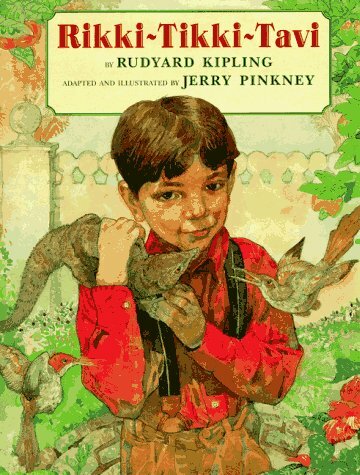 Kipling began collecting material for another of his children’s classics, Just So Stories for Little Children, this was published in 1902, the year after Kim. In 1906 Kipling wrote the song “Land of our Birth, We Pledge to Thee” and two science fiction short stories, With the Night Mail (1905) and As Easy As A. B. C (1912), both set in the 21st century in Kipling’s Aerial Board of Control universe. Kipling also became a motoring correspondent for the British press, and wrote enthusiastically of his trips around England and abroad, despite usually being driven by a chauffeur. In 1920 Kipling co-founded the Liberty League with Haggard and Lord Sydenham. promoting classic liberal ideals in response to the rising power of Communist tendencies within Great Britain. In 1922 Kipling, Was asked to assist University of Toronto civil engineering professorHerbert E. T. Haultain to develop a dignified obligation and ceremony for graduating engineering students an produced “The Ritual of the Calling of an Engineer”. Today, engineering graduates all across Canada are presented with an iron ring at the ceremony as a reminder of their obligation to society. In 1922 Kipling also became Lord Rector of St Andrews University in Scotland, a three-year position. Kipling argued very strongly for an Anglo-French alliance to uphold the peace, and repeatedly warned against revising the Treaty of Versailles in Germany’s favour, predicting it would lead to a new world war, arguing that Germany’s larger economy and birthrate had made that country stronger than France, that with much of France was devastated by the war and the French suffering heavy losses that the low French birthrate would have trouble replacing while Germany was mostly undamaged and with a higher birth rate, Kipling opposed the Labour government of Ramsay MacDonald as “Bolshevism without bullets”, and believed that Labour was a Communist front organisation which took instructions from Moscow. Atfirst Kipling’s admired Benito Mussolini to a certain extent but was against fascism, writing that Sir Oswald Mosley was “a bounder and an arriviste”, But by 1935 he was calling Mussolini a deranged and dangerous egomaniac writing that “The Hitlerites are out for blood”.In 1934 he published a short story in Strand Magazine, “Proofs of Holy Writ”, which postulated that William Shakespeare had helped to polish the prose of the King James Bible Less than one year before his death And gave a speech (titled “An Undefended Island”) toThe Royal Society of St George on 6 May 1935 warning of the danger which Nazi Germany posed to Britain. Kipling sadly passed away 18 January 1936 at the age of 70 after Suffering a haemorrhage in his small intestine after having recently undergone surgery, for a perforated duodenal ulcer. Phenomenon died two days before King George V. And was cremated at Golders Green Crematorium, northwest London, and his ashes were buried in Poets’ Corner, part of the South Transept of Westminster Abbey, next to the graves of Charles Dickens and Thomas Hardy.